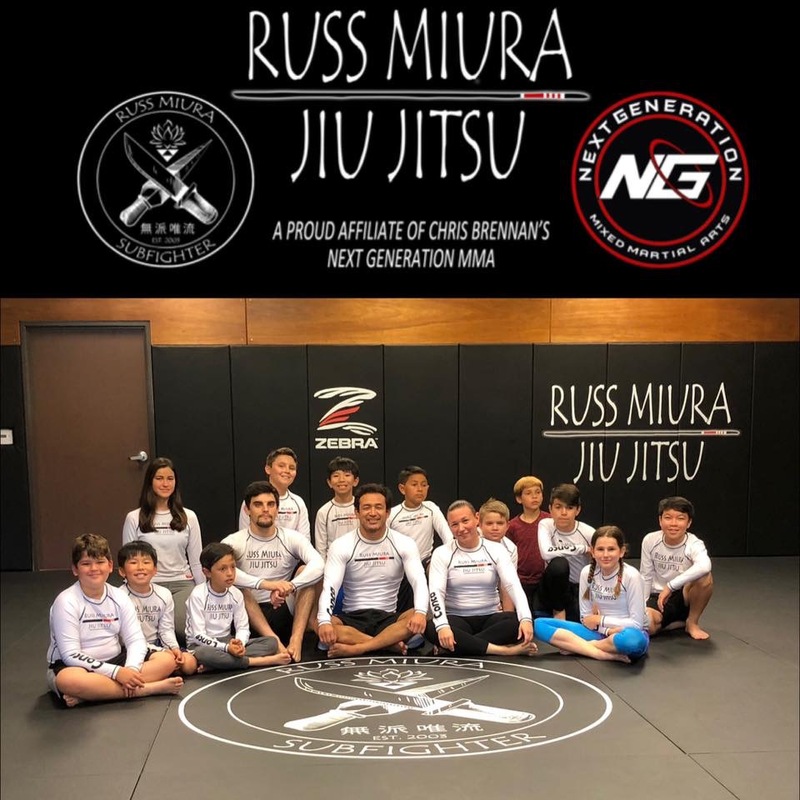 Russ Miura Jiu Jitsu is proud affiliate of Chris Brennan’s Next Generation MMA & Brazilian Jiu-Jitsu Academy with an emphasis on what the core of Martial Arts are about. I teach discipline, respect, loyalty, creativity, mental tools, emotional control, & spiritual growth, in addition to technical development. Wrestling is incorporated into the Jiu-Jitsu classes & Boxing classes will also be added to the schedule in the new year. Olympic lifting programs are also available for injury prevention & to increase performance. Diet, Nutrition, & Supplement information is included Free for all members. There are no "cliques", separate groups, or gym bullies; we operate as a single family & encourage an environment that is conducive to all learning levels & different walks of life. I have been taking ordinary people and developing them into extraordinary Martial Arts practitioners in Orange County, Ca since 2003. I was instructed by some of the best coaches in Wrestling from high school all the way through college (Steven Tirapelle - Clovis High, Anthony Camacho - Fresno City College, & Dan Hicks - CSUF). I have been taught by some of the best practitioners in BJJ from the time I was a white belt all the way to when I received my 3rd degree on my black belt in Oct. 2017 from Chris Brennan (Phil Snavely, Chris Brennan, Jeremy Williams, & Rick Estrada). I was also taught by one of the top practitioners in the area of boxing (Jimmy Jackson) & strength and conditioning (Dr. Lee Brown), where I received a Bachelors Degree in Science & Kinesiology from CSUF & use this knowledge every day to help my students achieve their goals. As a Professional Mixed Martial Artist I achieved a record of 10-1, however I never saw myself as a fighter, I saw myself as a martial artist that was testing his theories against elite professional fighters. I’ve trained with Russ on and off for many years, and he is an amazing instructor. There are many places to train in Orange County, but in my opinion, he is the best coach around. 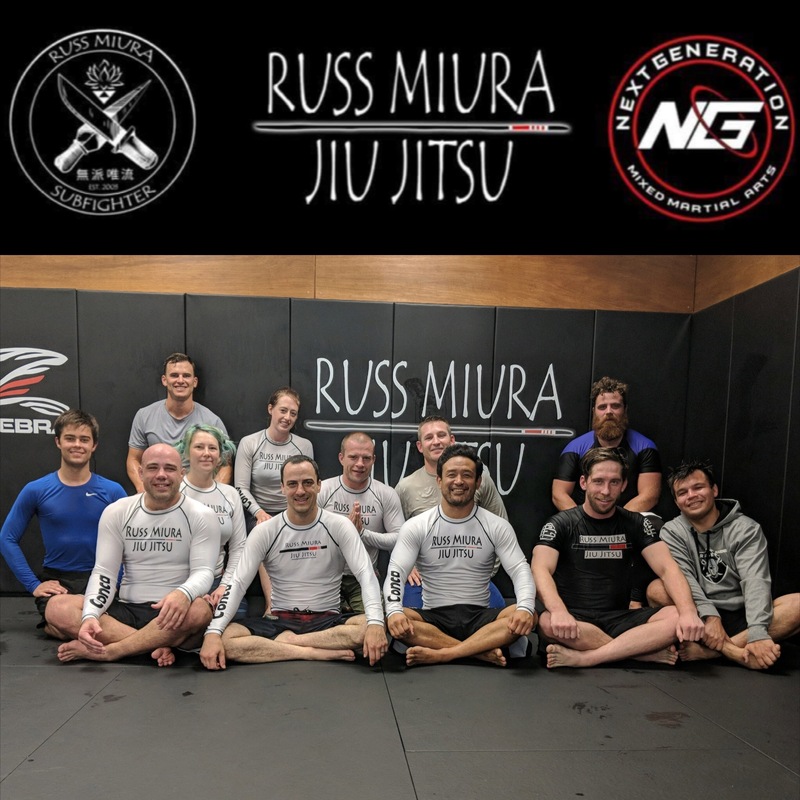 One of the things that is really appealing about Russ’s approach is that while he has competed successfully in wrestling, sports jiu-jitsu and MMA, he teaches a style of grappling that is designed for self-defense. And although he has been an athlete all his life, he has embraced the best aspects of the martial arts, with the benefits of discipline, respect and loyalty. 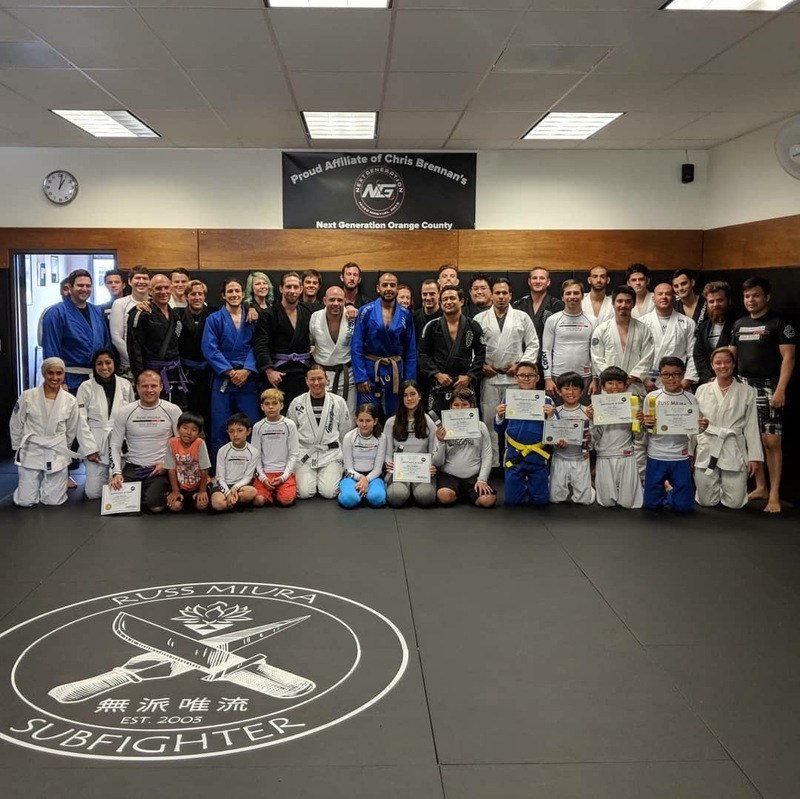 All kinds of people train with Russ, including women, kids, and older people, and you can always the know the character of the instructor by the quality of people that he attracts to the school. I highly recommend his school for anyone. 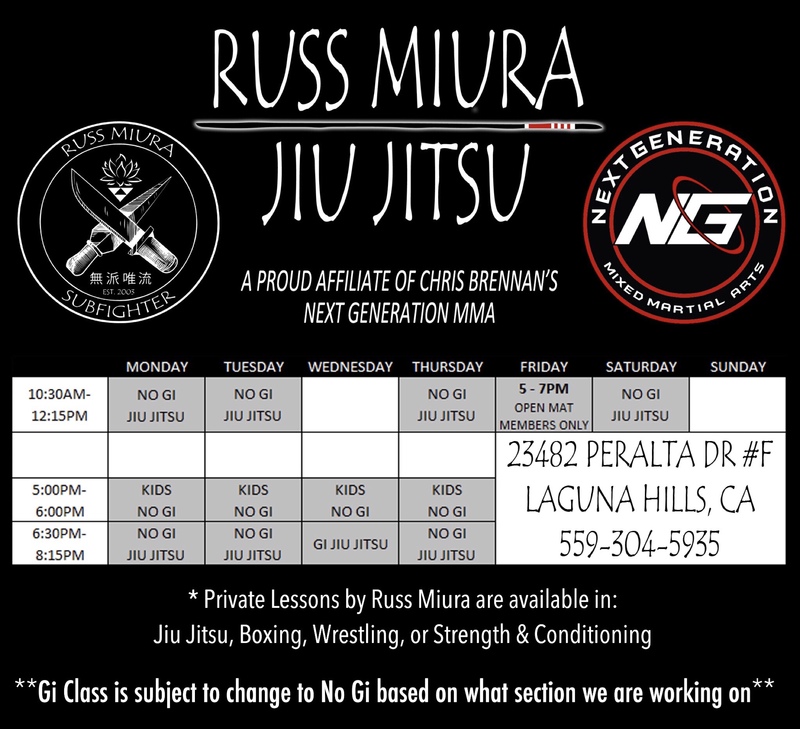 I've been training in Jiu Jitsu for 18 years and I've been Russ Miura's student for over 10. Submissions are like Destinations on a map, and there are many Destinations on maps. Instructors are like maps. Maps have a lot of Information. It's up to you to figure out the best route for your specific Destination. Russ Miura is like GPS, he will show you the best route for you to reach all of your Destinations. If you're curious, please come in flr a free class, tell them you saw Pandas Post. Russ has a plethora of amazing technique that he teaches as a method rather than individual submissions. 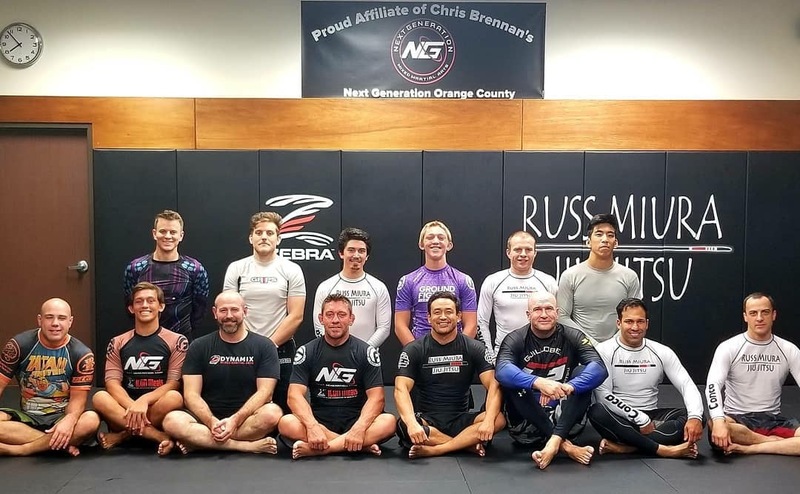 Russ's background as a California State Wrestling Champion adds so much to his craft and the mindset of a martial artist. I have improved ten fold over the last year. It's very rare to find a martial artist that has reached the level that Russ has, and can teach like he can. I'm a huge fan of his work and his approach to the life of a martial artist.